Platinum Games seems to be sharing the love with all the console manufacturers these days- after putting out the excellent Wonderful 101 and more recently, Bayonetta 2 for Wii U in association with Nintendo, they announced that Scalebound, famed designer Hideki Kamiya’s next game project, will be coming exclusively to Xbox One. We actually haven’t seen much of the game yet- we got a glimpse of it at E3 in June, but it’s been radio silence ever since. From what we saw, it seems like it might be a uniquely Platinum Games take on the monster hunting genre. But it seems like Kamiya wants to break this embargo of information on the game soon, and he wants to show some real gameplay. 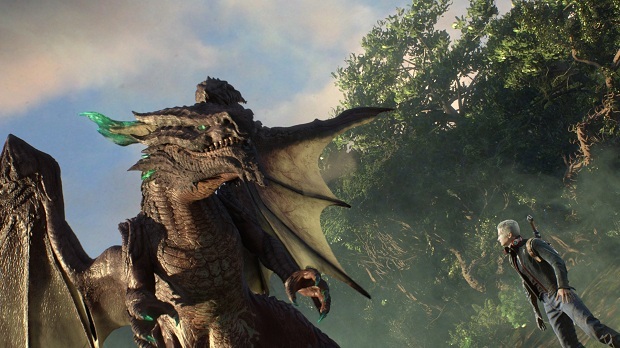 “Scalebound is in intensive development while enjoying Takarazuka. I think you all may be wondering what kind of game it is. Even if it’s early, I’d like to show you the gameplay,” he said in an interview with Famitsu (translation provided by DualShockers). Well… for your sake and ours, let’s hope you get your wish soon!